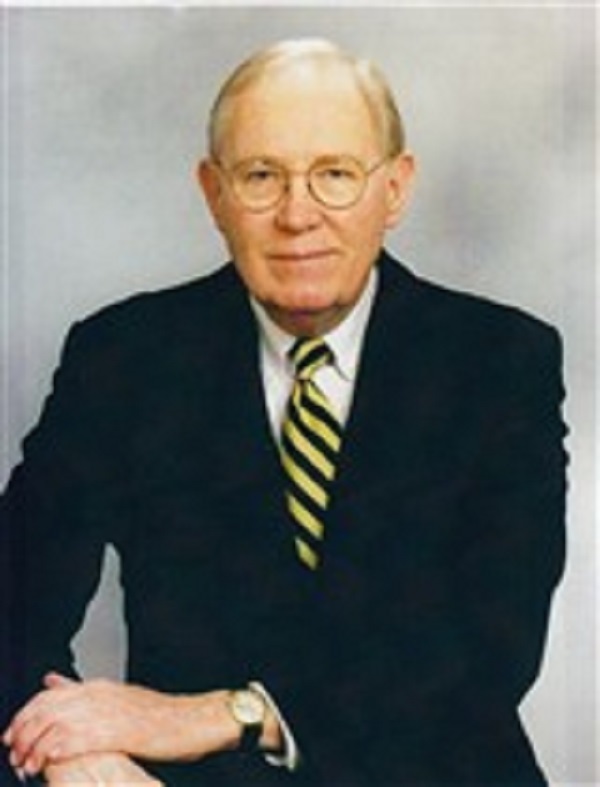 T. Terrell Sessums was the speaker for the Florida House Republicans from 1972 to 1974 and an adjunct professor at the University of South Florida from 1974 to 1975. TAMPA, FL, October 11, 2018 — Marquis Who's Who, the world's premier publisher of biographical profiles, is proud to present T. Terrell Sessums with the Albert Nelson Marquis Lifetime Achievement Award. An accomplished listee, Mr. Sessums celebrates many years' experience in his professional network, and has been noted for achievements, leadership qualities, and the credentials and successes he has accrued in his field. As in all Marquis Who's Who biographical volumes, individuals profiled are selected on the basis of current reference value. Factors such as position, noteworthy accomplishments, visibility, and prominence in a field are all taken into account during the selection process. Mr. Sessums began his career as an associate attorney at Hardee & Ott in Tampa, Florida from 1958 to 1960. From 1959 to 1961, he was active as a legislative aid and legal assistant to Senator Sam Gibbons of the Florida Senate. After this opportunity, he was a partner with Albritton, Sessums, Gordon & Ryder in Tampa, Florida from 1961 to 1984. He held the roles of shareholder and managing partner with Macfarlane, Ferguson & McMullen from 1984 to 1997 and partner with Salem Law Group P.A., in Tampa, Florida from 1998 to 2003. Mr. Sessums has been further associated with the Salem Law Group P.A. since 2003. In addition to his career, Mr. Sessums served to the rank of second lieutenant in the United States Air Force in 1952 and as a captain from 1954 to 1956. He was the Speaker of the Florida House Representatives from 1972 to 1974 and an adjunct professor at the University of South Florida from 1974 to 1975. From 1974 to 1989, he excelled as general counsel for the Tampa Port Authority in Florida. During this time, Mr. Sessums was on the colloquium board and a lecturer on education policy issues at the Harvard Graduate School of Education at Harvard University in Cambridge, Massachusetts in 1977. He was also chair of the Florida Bar legislative committee from 1977 to 1978, counsel to the Florida Conference Circuit of Judges in 1978, special counsel of the workers' compensation section of the Florida Bar from 1979 to 1980 and chair from 1979 to 1980. He was on the Florida Board of Regents from 1979 to 1988, becoming chair from 1986 to 1988. He worked as director of region two and was a member of the consultant board for Southeast Bank in Tampa Bay, Florida from 1973 to 1991. During this time, he was also director of Florida Blue from 1977 to 1978 as well as the Family Television Co. WFTV channel 28 from 1978 to 1984. Prior to embarking on his career, Mr. Sessums obtained a Bachelor of Arts in political science from the University of Florida in 1952. Following this achievement, he earned a Doctor of Jurisprudence from the Levin College of Law at the University of Florida in 1958. He concluded his education with graduate coursework with the Leadership Florida executive program in 1993. He was awarded an honorary Doctor of Laws from Florida Southern College in Lakeland, Florida in 1973 and from Flagler College in St. Augustine, Florida in 1988. Additionally, Mr. Sessums received an honorary Doctor of Public Administration from Rollins College in 1974 and an honorary Doctor of Humane Letters from the University of South Florida in 1995. Mr. Sessums has held multiple positions for the Georgia Seagle Hall Alumni Association, including founding president from 1982 to 1984, director from 1984 to 1994 and member of the advisory council from 1994 to 2004. Since 1982, he has been a member of the Tampa Bay Area committee on foreign relations. He contributed to the Time Warner Trust as trustee, general counsel and a member of the executive committee from 1983 to 1998 and to the General Telephone & Electric Corp. in Florida as director from 1986 to 1993. From 1986 to 1989, he worked for Golden Ponds and Ashley St. Properties Inc. in Tampa, Florida. Mr. Sessums was appointed to the role of vice president of Trouble Creek Properties Inc. in Tampa, Florida from 1988 to 2001 and director of the Museum of Science and Industry in Tampa, Florida from 1990 to 1994, where he has been on the advisory council since 1994. He has been recognized as state director emeritus of the Orange Bowl committee since 1991 and he was president of Halifax Management Co. from 1994 to 1997. Additionally. Mr. Sessums was the special counsel to United States Senator Bob Graham in 1995, and is a regular contributor of articles to professional journals. Mr. Sessums is a member of the National Society of the Sons of the American Revolution, the Tampa chapter of the Florida State Society, the Florida Bar, the Hillsborough County Bar Association and the Tampa Bay chapter of the Federal Bar Association. He also belongs to the Hall of Fame Bowl Association as founding director from 1986 to 1988, the Kiwanis Club of Tampa, the University Club of Tampa, Omicron Delta Kappa and the Lake Magdalene United Methodist Church in Tampa, Florida. He was recipient of the Distinguished Alumnus Award from the University of Florida in 1973. From 1974 to 1975, Mr. Sessums was honored with the Champion of Higher Independent Education in Florida Award from the president of the Independent Colleges & Universities of Florida, and in 1975, he received the President's Distinguished Citizen Award from the University of South Florida. Mr. Sessums was presented with the Don L. and Ruth E. Smith Founders Award from the University of South Florida in 1980, an Award from the National Football Foundation, Tampa chapter in 1982, the Person of Vision Award from the National Society to Prevent Blindness in 1986 and the Class of 56 Award from the University of South Florida Alumni Association in 1988. In 1990, he was recipient of the Silver Medallion Award from the National Conference for Community and Justice, and in 1993, he received the Distinguished Service Award from the Florida Association of Colleges and Universities. He was celebrated with the Francis Asbury Award from the Florida Annual Conference of the United Methodist Church in 1998. He was also honored with the Outstanding Citizen Award from the Tampa Metro Citizen's Club in 2016. Mr. Sessums was previously selected for inclusion in multiple editions of Who's Who in America, Who's Who in American Law and Who's Who in the World. In recognition of outstanding contributions to his profession and the Marquis Who's Who community Mr. Sessums has been featured on the Albert Nelson Marquis Lifetime Achievement website. Please visit www.ltachievers.com for more information about this honor.